Picked this up tonight. 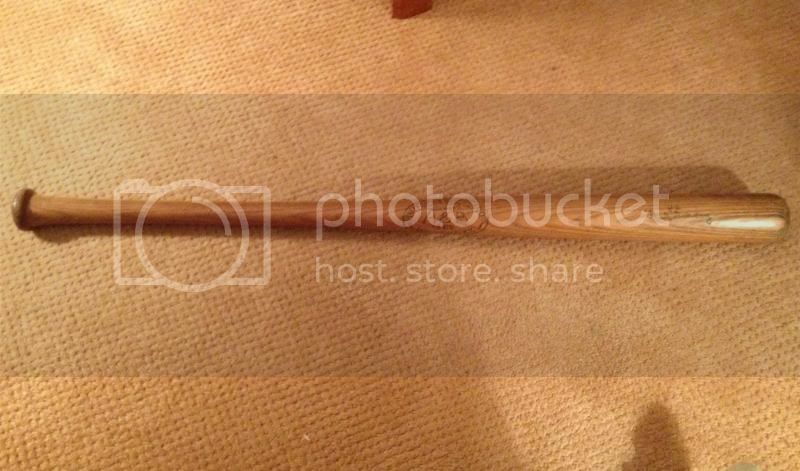 Very nice 35" H&B No. 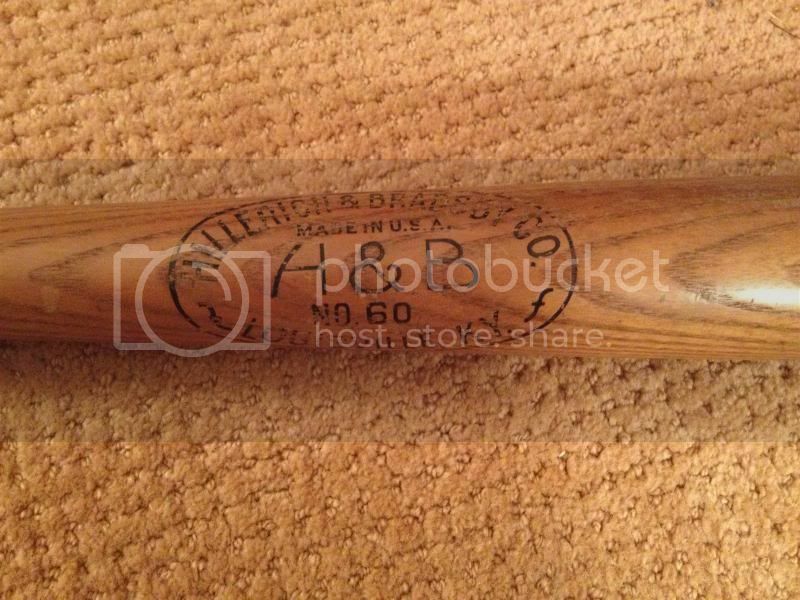 60 "Hank" Greenberg bat. It is marked U.S. above his name. Would this be considered a military issue bat? Or is it something else? Thanks. Really don't much about the "wartime" bats. The one's I know about and have seen have been 125s. This is a "60." Still, I think it's a bat made for special services I would guess. Clean bat and nice pickup. Greenberg was one of first ML players to enlist in the service for WWII. It is definitely a military model bat. They had a variety of stamps, including the "US" marking. 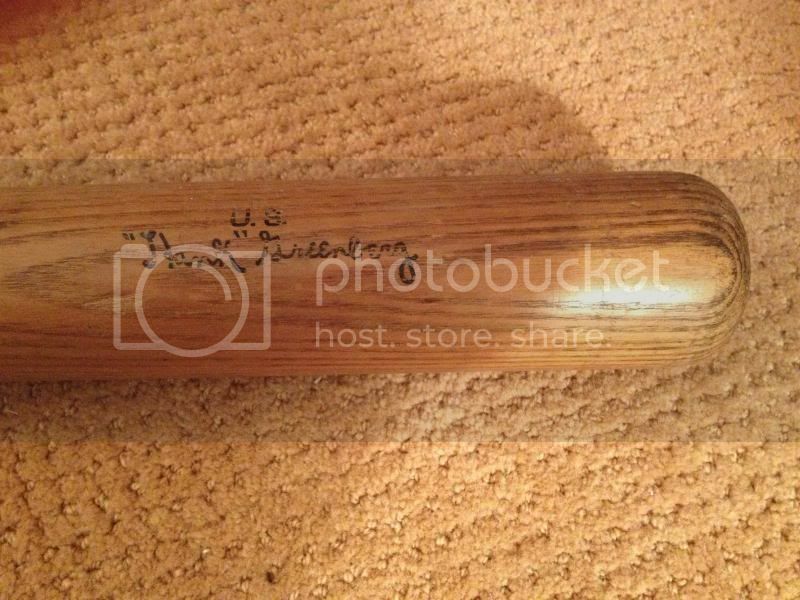 Here is a photo of my Rogers Hornsby H&B "Safe Hit" model with "Special Services US Army" stamp. Ok, here is the Hornsby. Attaching photos is not my specialty. I have seen 125's, 60's, and 14's stamped for military use. would take on with them like they did the gloves. I have seen a number of them recently. Quite unusual.